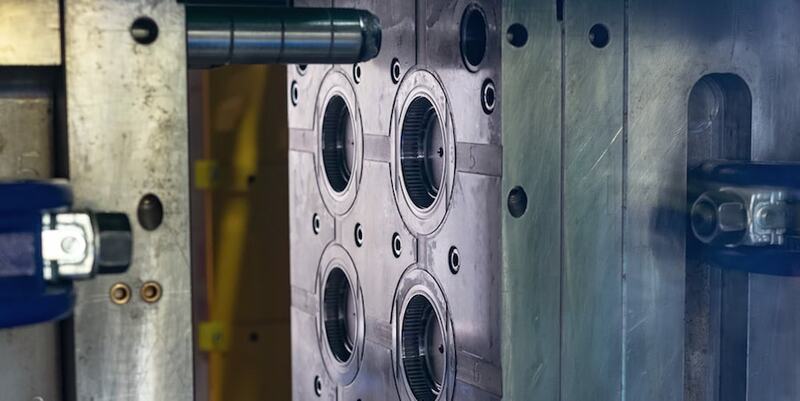 Wall thickness, gate size, and processing conditions such as packing pressure and tool temperature are major factors in determining part shrinkage. For example, thinner wall sections cool faster, resulting in less shrinkage. Likewise, larger gates have longer packing time and, therefore, less shrinkage. Shrink rates also vary according to flow direction, which must be carefully analyzed after gate locations are selected. On long, narrow parts — gated at the end, for instance — flow will essentially parallel the length of the part. In these cases, the “in-flow” shrink rate is used for the long dimension. “Cross-flow” shrinkage is used for dimensions that are perpendicular to the long dimension. For parts with random fill directions, an average of the in-flow and cross-flow directions can be used. For injection molded parts with critical dimensions, prototyping is the safest option. Gate Location. It is important to have a gate location that provides the most uniform fill and plastic pressure within the cavity. Since shrinkage is proportional to the pressure, having a large pressure drop throughout the part will provide varying shrink rates. This could result in low shrinkage on the end of the part with high pressure, and high shrinkage on the other side of the part with the low pressure. Sprue/runner and gate size. Any premature freeze-off of these items could increase the variation of the packing of the part, resulting in inconsistent shrink rates. The best method for predicting shrinkage is building a prototype tool with the exact cooling and gating as the final production tool. This way, the shrink rate can be exactly determined for the part. An alternative to a prototype tool is running the chosen material in a comparable tool, with a similar wall section and gate scheme. Measurements taken from the tool steel and molded parts can be used to determine a “likely” shrink rate, based on a similar part. Prototyping also provides an opportunity for the tool to be left steel-safe so critical areas can be “tweaked” if needed after a production tooling process is established. Want to learn more about tooling design? Be sure to read our Tooling Design for Injection Molding whitepaper below!